In all, a total of 555 terrorism related deaths were recorded within the period. Out of the 555 terrorism-related deaths, 283 resulted directly from terrorist attacks whereas 272 were killed during counter-terrorism operations by security forces. 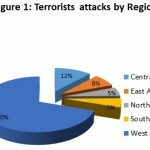 The Sahel region recorded 37 out of 59 incidents of terrorist attacks. 77% of civilians and 54% of military deaths were recorded in the countries of the Sahel region. The Bulletin revealed that 55% (307) of the total terrorism related deaths were members of terrorist groups. Security forces and civilian casualties were 25% (140) and 20% (108) respectively. Al-Shabaab killed 56 (54 military, 2 civilians), Islamic State West Africa Province (ISWAP) killed 51 (all military), Ansarul Islam killed 5 (all military), and Boko Haram killed 8 (all civilians). Out of the 59 attacks, 35 involved the use of Small Arms and Light Weapons (SALW). 18 attacks involved the use of Improvised Explosive Devices (IEDs), while the mix of SALW and IED and kidnapping accounted for two (2) and four (4) respectively. Al-Shabaab and Jama’a Nusrat ul-Islam wal-Muslimin (JNIM) used IEDs more in their attacks than SALW. All attacks by Boko Haram and Ansarul Islam used SALW. There were separate 22 attacks, each targeting civilians and security forces. 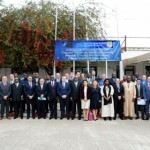 International organizations, mainly the United Nations Multidimensional Integrated Stabilization Mission in Mali (MINUSMA) and the African Union Mission in Somalia (AMISOM) suffered 8 attacks in total whereas 7 attacks were targeted at government institutions. Five countries most affected by terrorism during the period were Mali, Somalia, Nigeria, Burkina Faso, and Niger. These are the same countries that were affected the most during the first two weeks of January, 2019, thus indicating that during month of January, the above mention countries are the emerged, rather regrettably, as the epicenters of terrorism in the Continent. 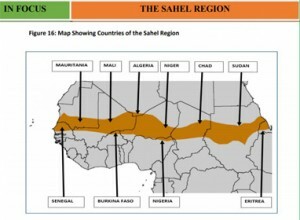 The Sahel region recorded a total deaths of 253 out of 555 representing 46% of the terrorism related deaths for the period. Out of the 253 deaths, 94 were terrorists, 83 were civilians and 76 were security and military. The countries of the Sahel region recorded the highest number of civilian and security forces deaths in both the first two weeks and last two weeks of January 2019 The countries in the Sahel where these deaths occurred were Burkina Faso, Mali, Niger and Nigeria. Counter-Terrorism (CT) operations resulted in the neutralization of some members of terrorist groups. Al-Shabaab lost 107 of their members. 75 members of IS affiliates in Sinai, Egypt were killed in military operations. Boko Haram, ISWAP and JNIM, lost 6, 5 and 3 of their members to CT operations respectively. 111 others killed by counter-terrorism belong to unidentified/ unaffiliated groups. Terrorism and Violent Extremism remain significant threats to international peace and security. Although no country is immune to these threats, Africa has been particularly susceptible. Weak institutions, porous borders, inadequately trained or ill-equipped security forces, historical grievances and lack of economic opportunities have created conditions for terrorism and violent extremism to grow and fester in parts of the continent. Acts of terrorism and violent extremism, have emerged as major threats to peace, security, stability and development on the continent of Africa. Terrorist groups in recent times have committed numerous protracted atrocities against innocent civilians, security forces, international organizations and government agencies by the various terrorist groups. Terrorist groups have expanded their ambitions, capacities and geographical reach and established a foothold beyond the countries in which they operated in the past, with devastating impact on human security and economic development. Faced with these growing and complex attacks, security forces have remained responsive to the situation. Counter-Terrorism Operations have gained momentum in January 2019 as the results demonstrate. 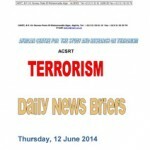 A significant number of terrorists were neutralized in Somalia, Nigeria, Mali and the Sinai Peninsula of Egypt. However, what is worrying is the continuous recruitment of young people into terrorists and extremists groups as evidenced in Northern Mali, Somalia, Burkina Faso and Nigeria. This calls for a blend of kinetic militaristic strategy and human security responses in order to significantly diminish the capabilities of the terrorist groups. There is the need to securing the commitment of Africa’s political elite to the realization that military power per se as a guarantor of national security has the propensity to degenerate into regime security. The referent object of national security should be the individual citizenry and their local communities, the identification of their vulnerabilities, their protection and their empowerment to acquire the required resilience that enables them live in dignity. This is fundamental to ensuring a balance between counter-terrorism and human rights to the extent of providing a platform for addressing those conditions that could otherwise nurture violent extremism, rebellion and possibly terrorism as indicated in Pillar1 of the Global Counter-Terrorism strategy. 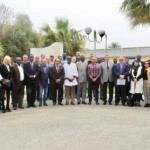 The pursuit of justice, participatory political policies, and the promotion of favorable socio-economic conditions that promote human development, human rights and inclusive policies in local communities should be regarded as effective means of striking a balance between counter terrorisms and human rights.